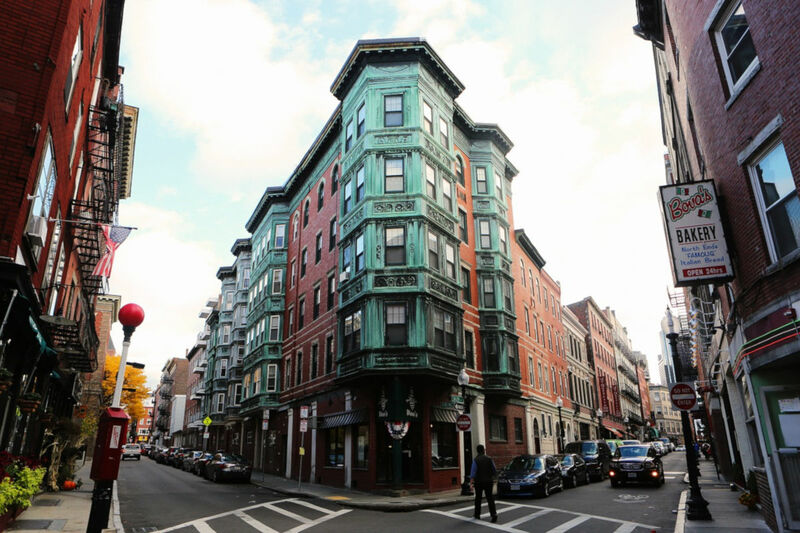 The very features that make Boston so charming and beautiful—labrynthine, narrow brick streets and one-way roads that rarely follow a straight line—also make for parking and navigation migraines. Factor in stringent parking rules and the historic New England city is a downright tricky place to park (even for locals). Finding cheap and easy parking is possible, however, with just a little bit of patience and planning. Many of Boston's main roads offer parking via meters, which are active between 8 a.m.- 8 p.m. Most carry a time limit of two hours, but some may allow for longer stays. Be mindful whether you can park in metered spots. For example, meters with yellow or red tops indicate they may be in loading zones with restricted parking times. Most regular street parking spots in Boston are reserved for resident parking, which will be noted on street signs. So, if you're grabbing an Italian meal in the North End or catching a game at Fenway, think twice about trying to park in that secluded alleyway. The parking authorities are sticklers for rules, and you should resist taking a gamble on a spot that looks too good to be true. Tourists can park on the metered spots for free on Sundays and major holidays. Otherwise, metered parking generally costs $1.25 per hour in most of the city. A pilot program imposes a dynamic pricing model in busy downtown zones to increase availability. Consequently, you will see metered parking of $1.50 per hour in the Seaport District and nearly $4.00 per hour in the Back Bay. Drivers can feed the meter using their smartphones with the ParkBoston app, via credit card or the tried-and-true quarter method. SpotHero offers a handy dynamic map of downtown Boston and clearly displays prices for each parking location. It also allows users to reserve parking. ParkMobile also allows users to see available spots and reserve parking. It says that reserving spots in garages in advance can save up to half on rates. Best Parking (website and app) also allows drivers to find and reserve spots, and also connects to navigation apps. Finally, there are some other ways to save on parking prices by getting creative. Work the system to a T. Consider parking in a neighborhood where parking is cheaper, then taking public transit to your desired destination. Travelers can easily combine parking with a short hop on the "T" subway system by parking in lots near the stations where costs range anywhere between $2 and $15 per hour, according to the transit authority's website. Stay in a hotel with free or discounted parking. Some hotels offer free parking for guests, which is a lifeline if you're bringing a rental car to Boston. TripAdvisor has a page of Boston hotels offering this park, but it's always smart to call ahead to confirm that the policy is still in place. Phone a friend. In some areas, Boston residents can get visitor parking passes that allow free on-street parking when it's not normally available for out-of-towners. This is worth keeping in mind if you have friends living in the city. Make sure to be extra careful about special rules for snow emergencies and street cleaning.